Do you want to get cataract removal surgery in Raleigh/Durham? Has your vision become blurry or fuzzy over time, making it feel as if you are looking through a waterfall or piece of waxed paper? If so, you may have cataracts, which are the clouding of the eye’s natural lens. Cataracts are painless and progress gradually, compromising vision as more time goes on. If you are experiencing blurry vision because of cataracts, Dr. Dean Dornic of Laser Eye Center of Carolina can help. Dr. Dornic in Cary, NC is a cataract surgery specialist who uses advanced methods and the best technology to help patients achieve clear vision. A cataract is a clouding of the eye’s natural lens. Over time, the eye’s lens may lose it’s transparency, preventing light rays from reaching the retina. While most cataracts develop slowly over time in people age 40 and older, cataracts can also develop in younger people as a result of heredity, trauma to the eye, certain medications and diseases such as diabetes. The most common cataract symptom is gradual vision loss. Other cataract symptoms include blurry vision, glare, frequent changes in eyeglass prescription, night vision difficulties and double vision. In its early stages, a cataract can be treated with the use of prescription lenses. However, as cataracts progress and start to make daily tasks difficult, surgical intervention becomes necessary. Dr. Dornic and the other surgeons at the Laser Eye Center of Carolina can remove cataracts via surgery in order to restore clear vision. Cataract surgery involves removing the eye’s natural cloudy lens and replacing it with an artificial lens. First, a small incision is made in the eye using a handheld blade. A high-frequency ultrasound device is used to break up the cloudy lens into small pieces, which are then gently removed from the eye with suction. An intraocular lens (IOL) is then inserted into the eye to replace the cloudy lens. At Laser Center of Carolina, we use the AcrySof ReSTOR, the AMO Tecnis, Toric or Crystalens intraocular lenses (IOL), which successfully replace the damaged lens and enhance the patient’s vision, reducing dependency on prescription glasses. Cataract surgery itself typically lasts about 10 to 15 minutes, and most patients can see improvement in their vision within one to three days of the procedure. As a leading eye surgeon in Raleigh and surrounding areas, Dr. Dornic offers the latest surgical techniques and best technology for cataract removal. Traditional cataract surgery has been proven safe and effective. 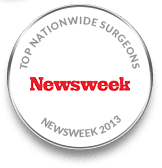 Using a laser in place of handheld instruments during certain stages of the surgery heightens safety and precision. During laser cataract surgery, Dr. Dornic creates a detailed plan for the corneal incision using a three-dimensional image of the eye created with optical coherence tomography. Then, he uses a femtosecond laser to make an incision that will seal itself after surgery, thereby reducing the risk of infection. 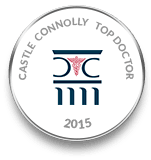 The next step of the procedure is the capsulotomy, in which the femtosecond laser is used to make an opening in the front portion of the lens capsule containing the cataract. Using a femtosecond laser during the capsulotomy helps not only in the removal of the cataract, but also in the subsequent positioning of the IOL. A well-positioned and centered IOL is crucial to the postoperative outcome. Once Dr. Dornic has accessed the cataract, he uses the femtosecond laser to gently soften and fragment it. Using laser energy instead of ultrasound energy to break up the cataract reduces the risk of overheating the eye and possibly burning or distorting the incision. Laser cataract surgery may also help preserve the lens capsule, which is key to holding the IOL in its proper place. Have you had LASIK Eye Surgery and want to keep your glasses-free vision or have you worn contact lenses and would like to enjoy mono-vision without the need for contact lenses? Have you been frustrated by a dependence on eyeglasses and desire to enjoy visual freedom? Dr. Dornic specializes in cataract surgery for patients who have had prior LASIK eye surgery or who desire to reduce their dependence on glasses after cataract surgery. Using sophisticated formulas and diagnostic equipment including the ORA system with VerifEye+ and the LenSx Laser System for cataract removal, Dr. Dornic can improve your distance and/or reading vision as you desire and specify. To learn more about cataract surgery and how it can improve your vision and daily life, schedule a personal consultation today. 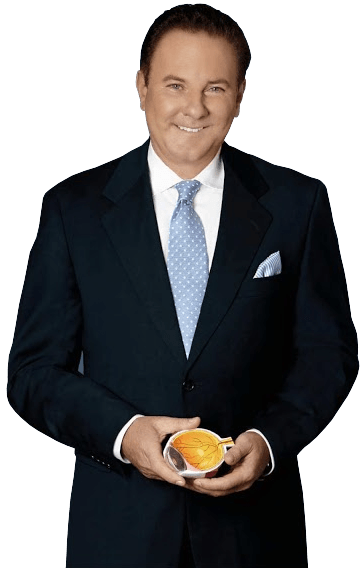 Dr. Dornic can also discuss your options and explain the benefits of laser cataract surgery and lifestyle or premium intraocular lenses in further detail with you. 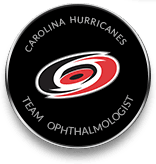 Please call the Laser Center of Carolina at 888-376-EYES (3937).